From used Teslas selling for more than new, salvaged pickups with luxury car prices and old BMWs with torn seats pretending to be a showroom queen, you'd have to be hitting a crack pipe to think these ten used cars are worth their sticker. Selling the Model S for more than its list price might make sense in some places since Tesla is literally out of juice, but I would recommend patience instead of buying this. I came across this local gem that made me spit coffee all over my keyboard. You want nearly $20,000 for an E21 with its malaise-tastic four-cylinder engine and torn seats? Rob Ford must be your dealer principal, because that's some serious crack pipe. This video demonstrates perfectly how rare these hippie transporters became. People are willing to save them from what looks like a point of no return. Still, proper hippies don't have $50,100 as far as I know. I don't know much about the Saturn SC1, but just by looking at it, I can tell that this decade old machine ain't worth $8K. Found this at CarMax in Omaha. $8,000? SRSLY??? This Lincoln might be luxurious, but it also has a salvage title for nine grand. No go. I know that the R32 is a very special Golf indeed, a future classic if you will. It's rare, it's fast, and it's still practical, so it's a desirable piece of kit. But not for more than 16K. Would you like to be hated everywhere you go, surrounded by cheap materials for $43,000? There you go! Would you like to make some money? Buy a Civic! I bought my '07 new, also had navi, paid $19,900 out the door. Four years and 60K later, I traded it in; the dealer put it on their lot for $19,985. Yes, $85 higher than I bought it new. 8th generation Civic Si.... much like what I had and shouldn&apos;t have let go of. If you owe somebody a ten second car, you might want to start saving for one of these. 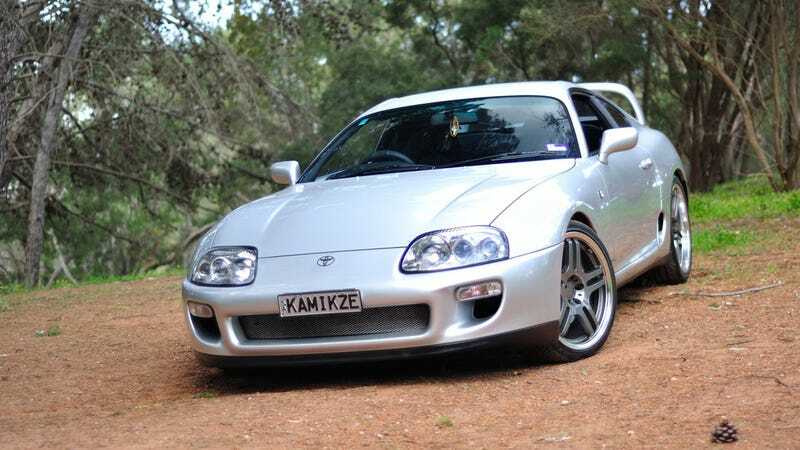 But turbo or not, this salvage Supra is ridiculous for almost 50K. I know it's beautiful. I know it was restored with many hours spent on it. Still, $177,268? I blame Canada.